Synergistic Research has a new, 'top of the line' addition to their highly regarded fuse lineup: the BLUE Fuse. For best performance, fuses should be installed one way, listened to, and then reversed the other way to determine best sonic orientation. Please check your cart very carfully before checking out, to ensure you are ordering the correct fuse. We cannot accept returns on blown fuses, unless defective. Synergistic Research has a new, 'top of the line' addition to their highly regarded fuse lineup: the BLACK Fuse. 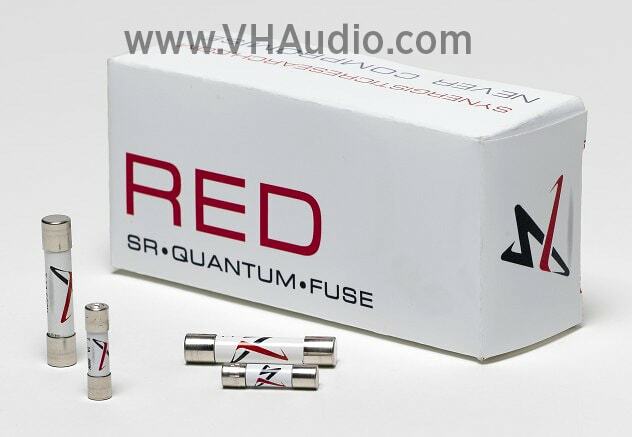 The Synergistic Research RED fuse builds upon the successful Synergistic Research SR20 series, with a proprietary burn wire and end caps, as well as applying 2,000,000 volt treatment in a process Synergistic refers to as "Quantum Tunneling'. Unique to the Synergistic Research RED fuses is a new treatment they have developed that realigns the crystal structure of the burn wire and end caps. As a basis for subjective comparison, when compared to the SR20 fuses, the RED fuses offer further refinement, with smoother highs and more linear frequency extension. Synergistic Research SR20 Quantum fuse line, has been very well received by audiophiles, since their introduction in 2012. 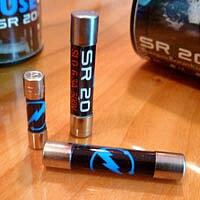 The SR20 Quantum Fuse series is made in Germany to Synergistic Research specs. The SR20 fuses use a custom alloy for the fuse element, and a ceramic body - which many audiophiles have found to produce a slightly warmer, more natural sound vs glass fuses. These fuses are then treated by Synergistic Research with 2,000,000 volts of electricity, in a process they call "Quantum Tunneling". 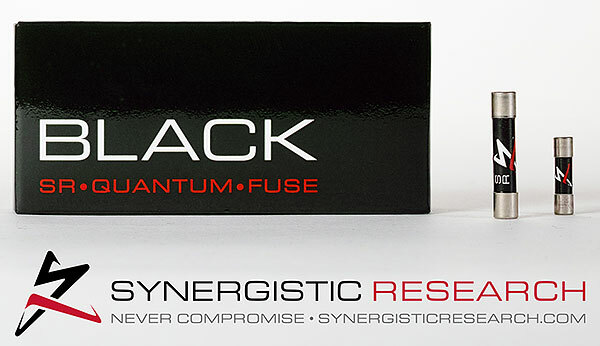 Synergistic research guarantees their fuses will deliver a noticeable increase in sound staging, resolution and air thanks to a lower noise floor and blacker backgrounds vs. any other fuse you may be using (aside from SR's RED line). 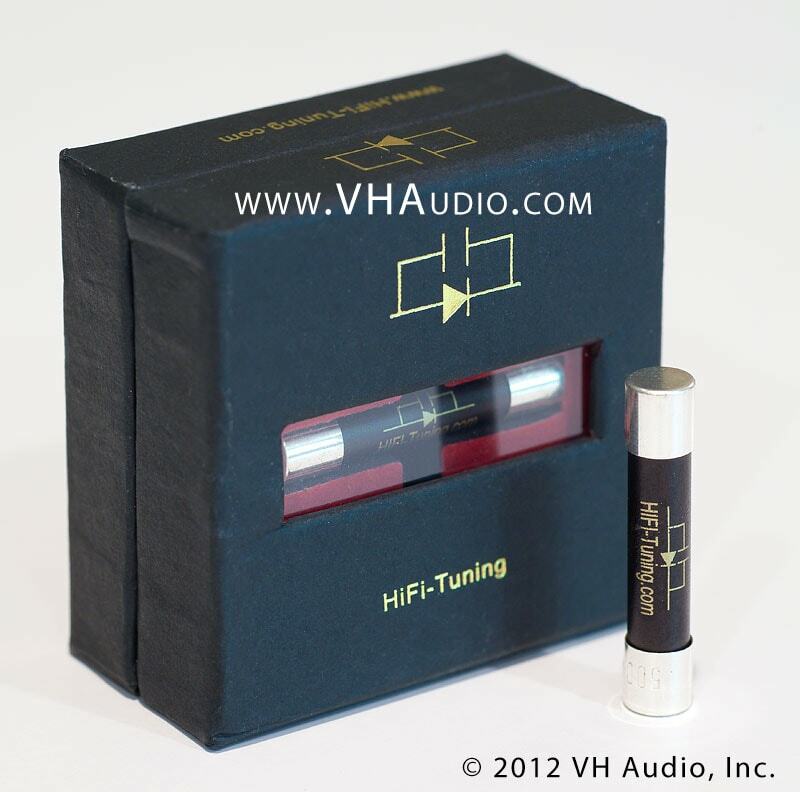 The HiFi Tuning Supreme Fuses utilize a silver & gold alloy wire, ceramic casing, as well as anti-resonance and quantum treatments. Each HiFi Supreme fuse is tested at the factory to ensure performance and reliability. While these are pricey, they are considered by many audiophiles to the best fuse available on the market. For best performance, the HiFi Supreme fuses should be installed one way, listened to, and then reversed the other way to determine best sonic orientation. The HiFi Tuning Supreme Cu Fuses utilize pure copper caps and melt wire, ceramic case, and are soldered with HiFi Supreme's own Supreme solder, which is a silver/copper/gold mixture. The copper end caps are gold-plated, to prevent oxidation. The Supreme Cu fuses are also cryogenically treated, as well as undergo a quantum treatment by WA Quantum in Germany. These fuses have a warmer presentation than the standard HiFi Supreme fuses. 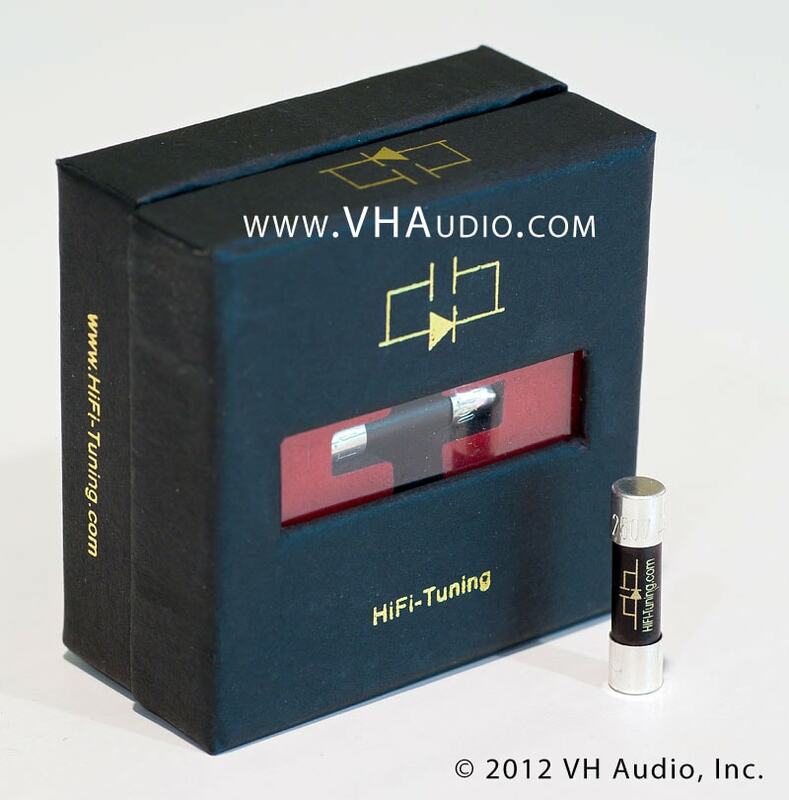 The HiFi Tuning Supreme Cu fuses are only made in the small/slow variant, in select values. HiFi Tuning Fuses are getting a good deal of attention recently for the significant improvement yielded in many components, for a relatively modest investment. Most components' fuses could be a potential bottleneck, when you consider the cheapo construction of many standard fuses. 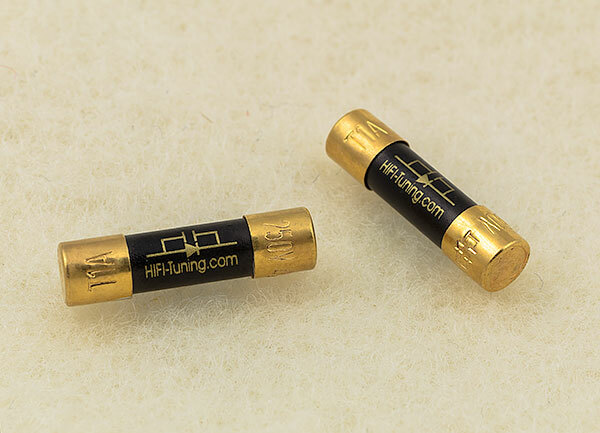 The HiFi Tuning fuses use a ceramic casing, considered by some to be superior to glass, due to a more pleasing resonant signature. For best performance, the HiFi Tuning fuses should be installed one way, listened to, and then reversed the other way to determine best sonic orientation. The HiFi Tuning sizes in the drop-down menus above are what we intend on keeping in-stock, but we can special order whatever fuses you'd like. Our selection of fuses will increase as we get a better handle on demand. 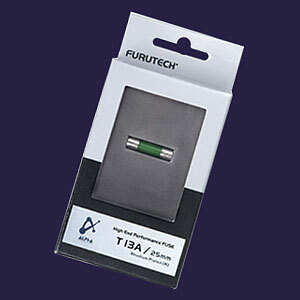 Furutech's TF series Audiophile grade fuses are fully non-magnetic Time-lag (slo-blo) available in two standard sizes: 20mm (small) and 32 mm (large). These fuses use specially designed, pure copper end caps with direct rhodium plating (no intermediate layer of nickel). The conductor is made with a special low induction copper alloy. 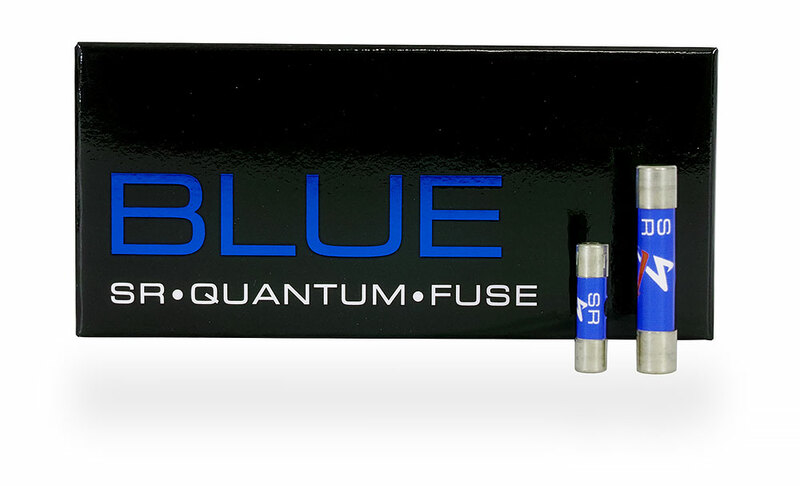 These fuses are also treated with Furutech's patented Alpha Super Cryogenic and Demagnetizing process, and are engineered to withstand 1 nanosecond at a full 1500 watts! 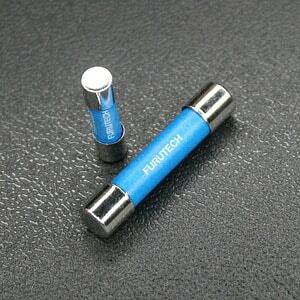 Furutech's T series fuse for U.K style connectiors are made with similar construction as the TF series above, but use a slo-blo pure silver conductor, rhodium plated contacts, and has been cryogenically treated and demagnetized by Furutech. Dimensions are 6.4mm X 25mm. Fits Furutech U.K. male AC connectors.